At Bangkok airport, when we were returning to Delhi, we didn’t plan for how large the airport shopping area is. After spending nearly an hour at the international fragrances section and having tried dozens of new perfumes that I’d never even heard of, I was more confused than sorted. Nowhere close to deciding which perfume I actually wanted to purchase, I wandered off into the alcohol section and picked up my usual sherry. 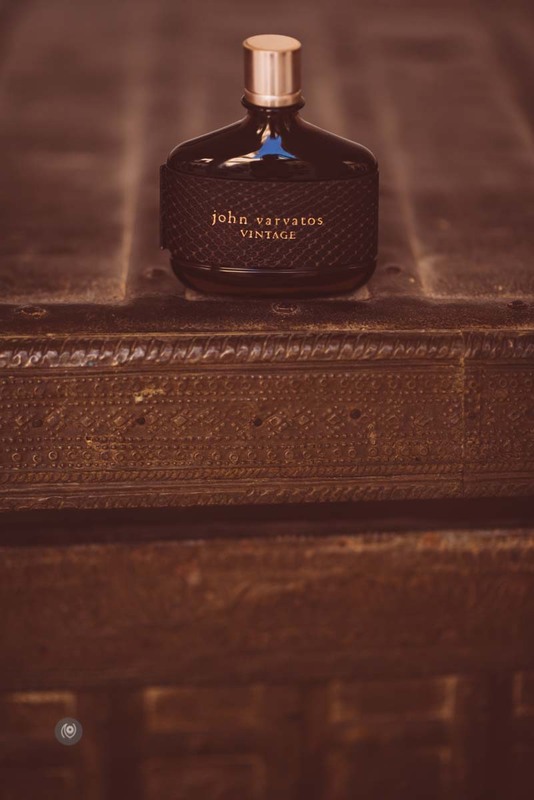 When I got back to the fragrances section, I spotted the tiny setup for the John Varvatos brand. I’d never heard of the man. 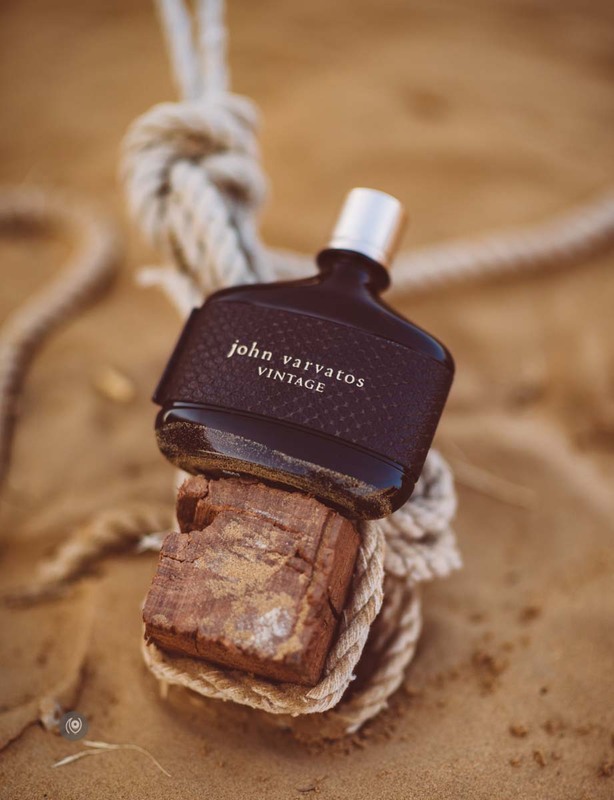 Turns out, he’s a fashion designer and ( obviously ) has a line of fragrances for men. I usually go for the men’s fragrance section anyway, so I was very curious. I tried a bunch of the testers and settled my nose on Vintage. 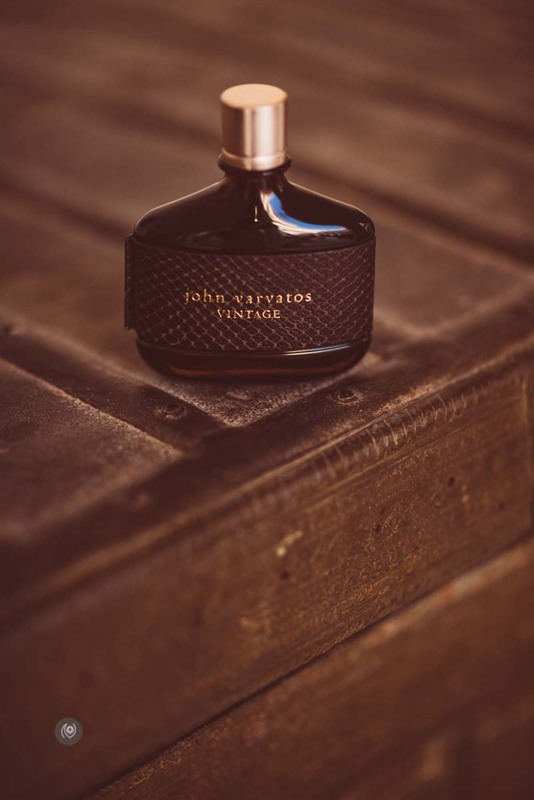 The others were nice too – masculine wafts of tobacco and leather and spices and woody stuff. The name “Vintage” sounded more romantic than the others and I figured if I didn’t like it, I could always get the boy to try it and if he liked it, I could say it was a gift for him. I discovered the Thai Fragrances section only once I’d started walking toward Boarding sadly. I would have much preferred to try out locally-made fragrances of course, but it was too late for that. Also means that I know exactly what I’ll be doing next time I’m at Bangkok airport. 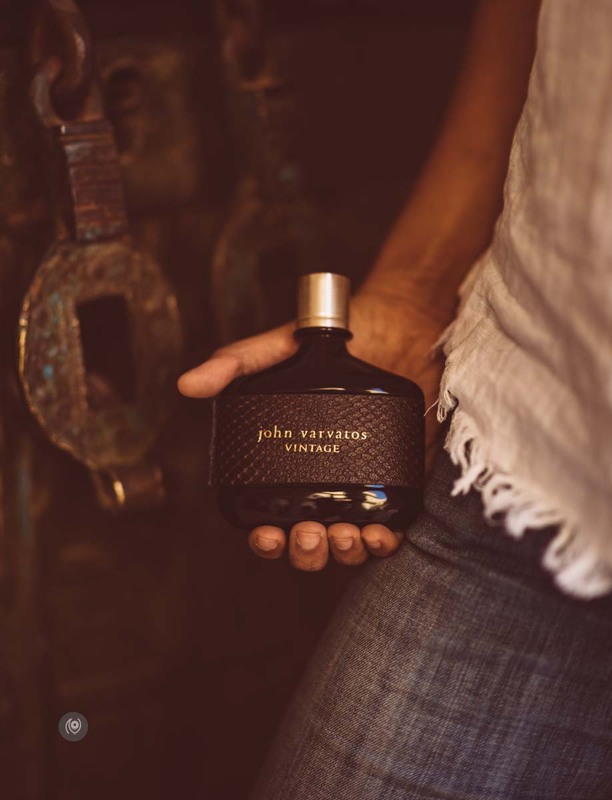 John Varvatos Vintage is fresh spicy from the get go. Like an after-shave but no “water”. No aqua notes. It reminds me of my Dad from his younger dashing bike-rider days. 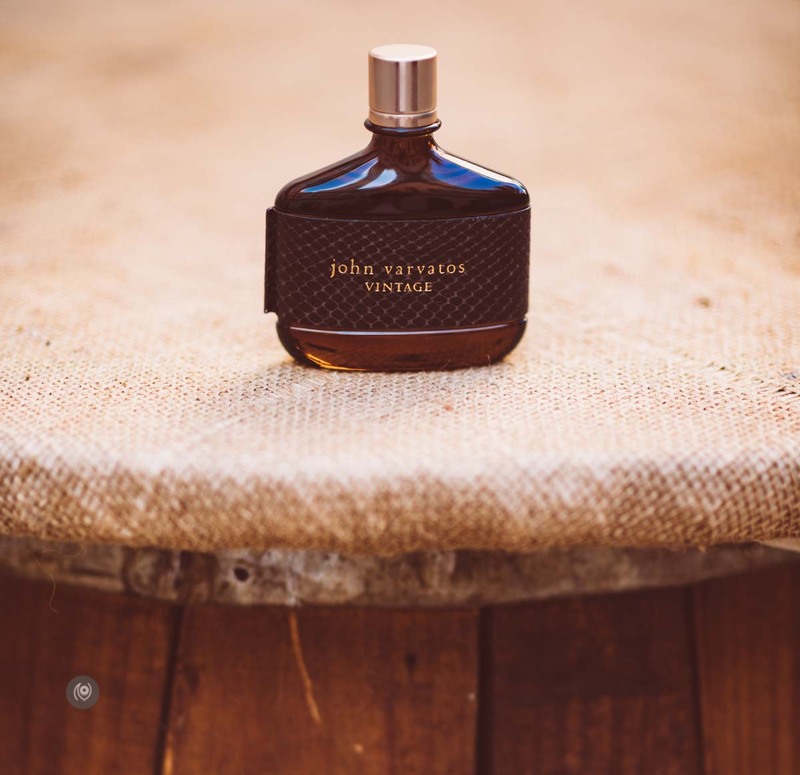 A sweet, musky smell, mingled with sweat – maybe a whiff of tobacco. It is slightly sweet a few minutes after spraying. And gradually, the sweetness reduces as it dries down. There is a hint of pepper and woody berries. Like driving through a pine / deodar forest in winters and you catch a slight whiff of the pine sap / wood. Just a smidgen of incensy / woody mid notes – maybe tobacco / leather but light and spicy. 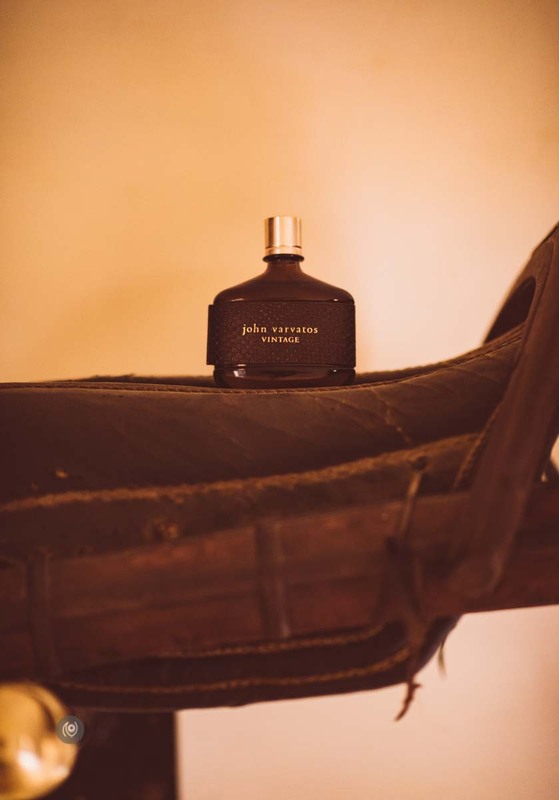 Definitely a fragrance for men, but I love wearing men’s fragrances because some of the good ones remind me of my childhood and hugging Dad when he got back from office and riding with him on his scooter and motorcycle rides with him and Mom in the dusty Rajasthan desert environment. 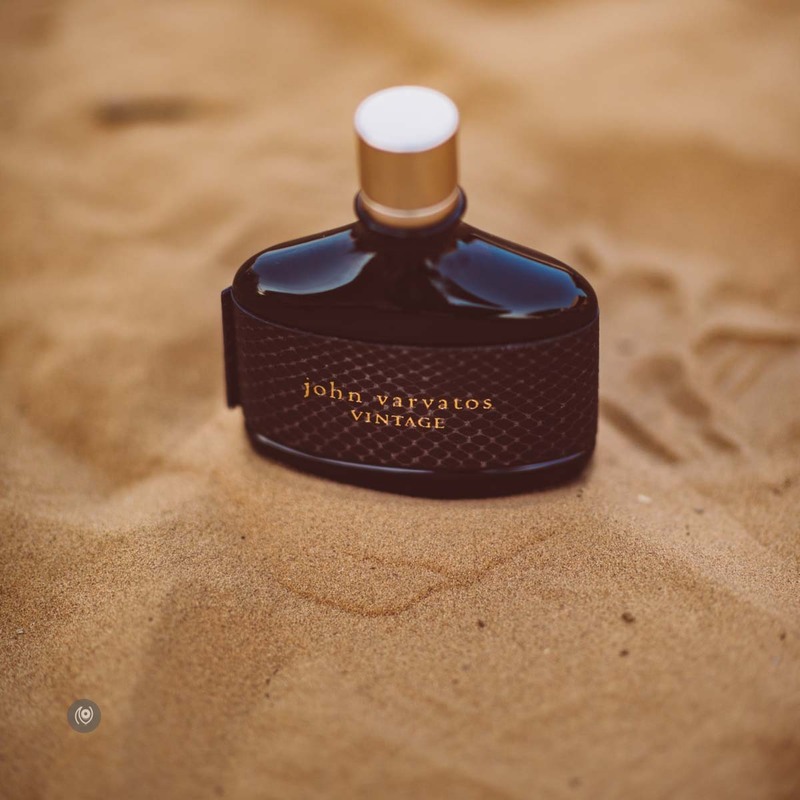 I’d love to hug a man wearing this fragrance in winters – a warm, romantic nostalgia. As usual it is the dry down I like more than the opening! My major complaint with this fragrance is that is it low on the longevity. Not nearly as long as any of the other fragrances I’ve experienced earlier. Gone too soon. Which can be poetic in it’s own way if you’re into that sort of thing. Like memories, the scent of this on your wrist fades too. Sooner than you would like. We forget things from our past and are reminded of them when we look at old pictures and a whiff of a scent suddenly takes us back down memory lane. If you’re going to be spraying this every 4-6 hours, you’re good. Sillage is minimal – so only someone hugging you or air kissing you is going to get a whiff of this. Which is just as well, men smelling like a perfume bottle all day isn’t something I’m keen on. 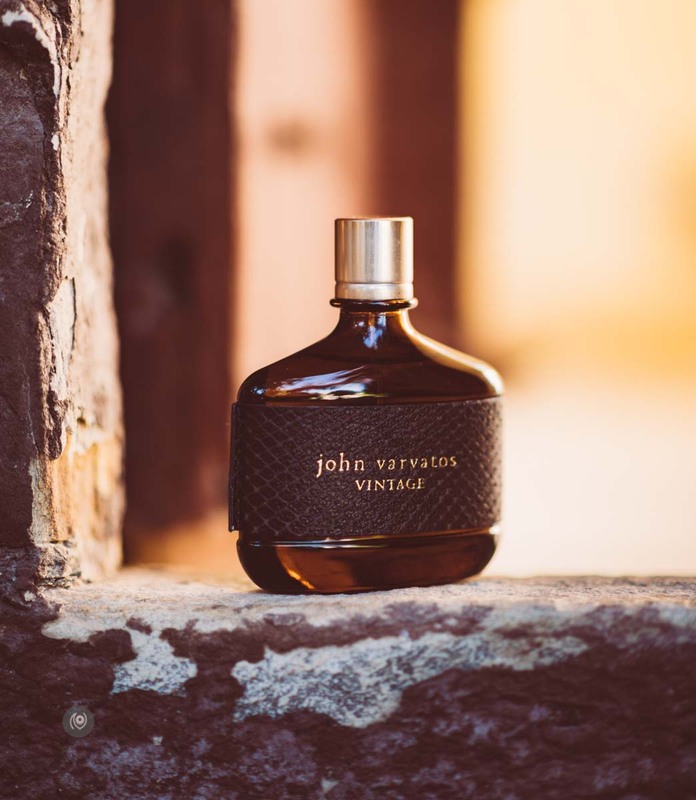 A man with a leather jacket, dusty bike-riding all day, calf-length boots and maybe a bit of a stubble – leans in to hug me and there’s a musky whiff of John Varvatos Vintage. Now THAT would be perfect. I love the way the bottle feels in my hand. 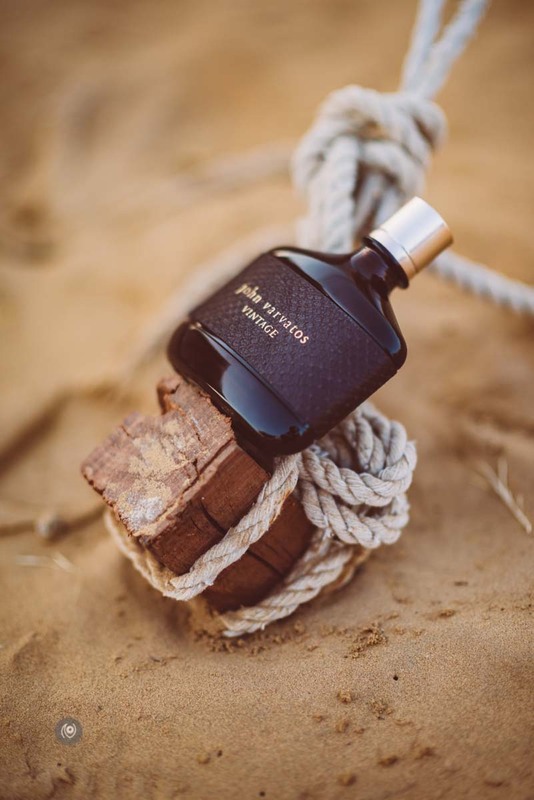 I love carrying it in my bag and fishing for it without looking and smile with a pleasant surprise each time my warm palm finds the cool glass and the texture of the leather on the bottle. 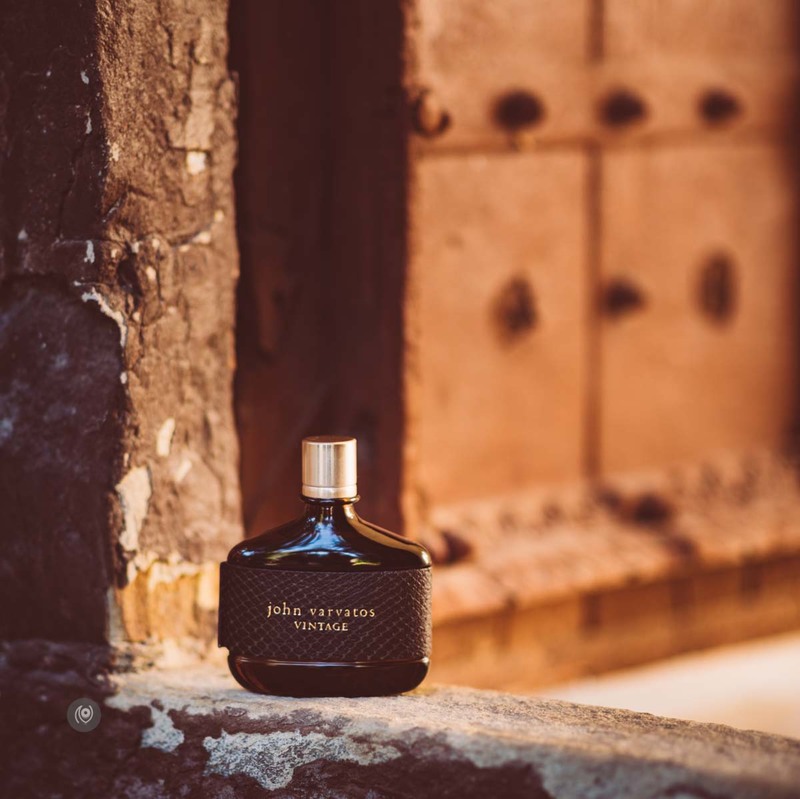 According to more capable noses than mine, mainly parfumier Rodrigo Flores-Roux who designed John Varvatos Vintage, this fragrance is supposed to have the following top notes : wormwood, basil, rhubarb, quince, fennel and pepper. Mid notes are supposed to be : juniper berries, lavender, cinnamon, jasmine, orris root and green leaves. 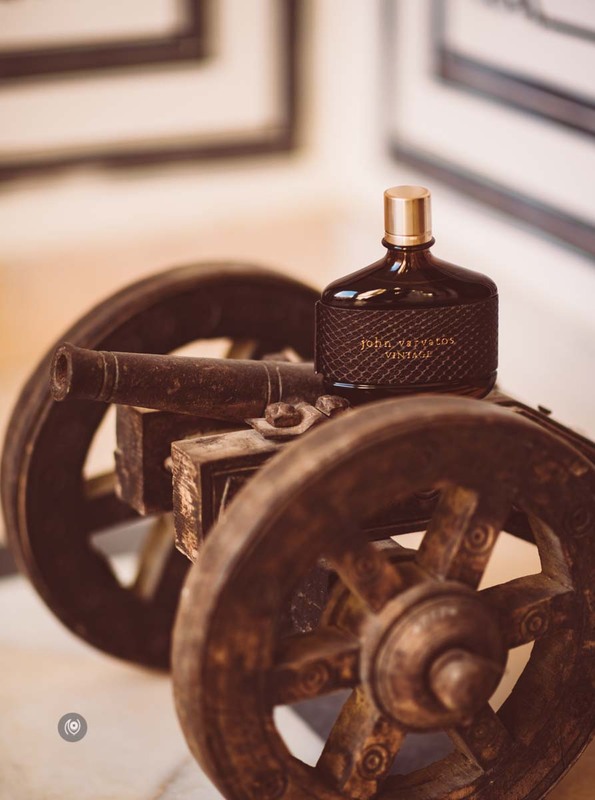 Base notes are supposed to be : tonka bean, tobacco, suede, patchouli, oak moss, balsam fir and woody notes. The fragrance was launched in 2006 and continues to be in production. I think a lot of women will like this for their boy / husbands to wear. Photographed at and near Alsisar Mahal, Rajasthan, during the Magnetic Fields Festival. 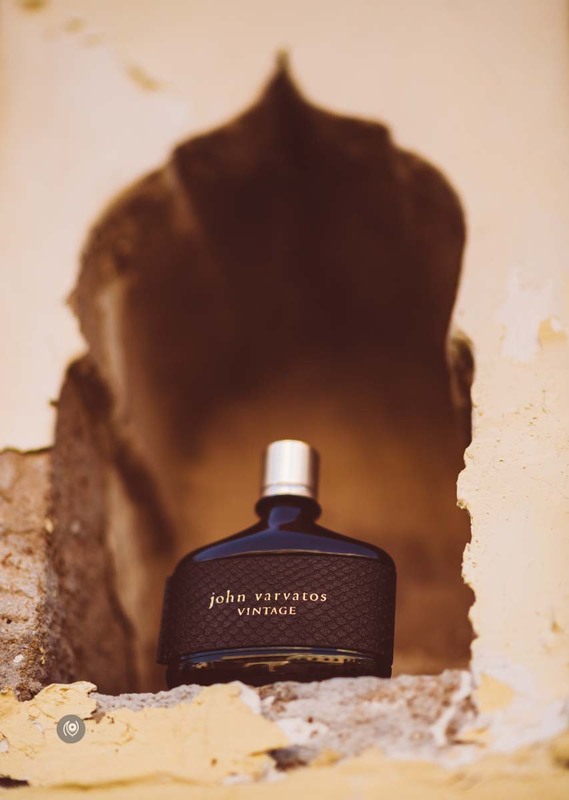 Once my friend gifted me John Varvatos Vintage. I love its fragrance.